Shocking figures have revealed that women who work for the Tory minister responsible for closing the gender pay gap are paid almost two pounds per hour less than men in the same roles. Government’s figures state that male civil servants earn £22.30 a hour on average at the Department of Education however women make just £20.54. 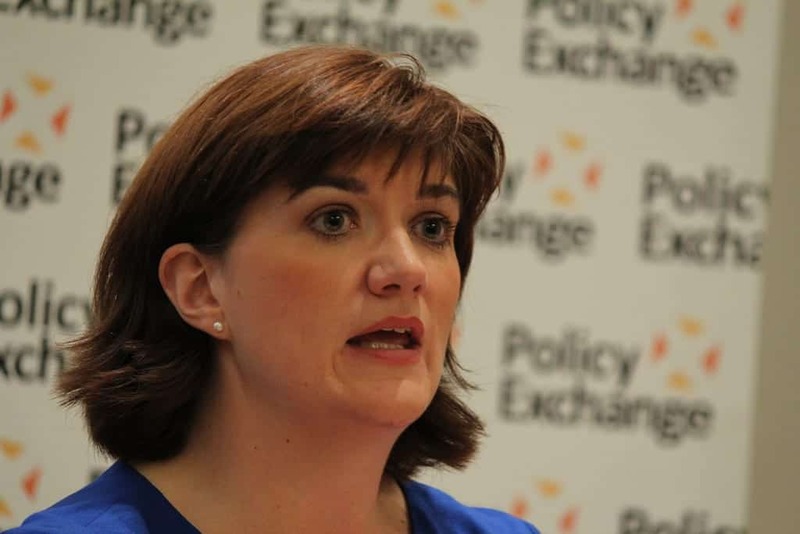 Nicky Morgan recently said she plans to “name and shame” companies who did not pay men and women equally by forcing companies larger than 250 staff to publish their gender pay gap. The pay gap has closed slightly in the department over the past few years – coming down to £1.76 per hour compared with £1.89 per hour in March 2012 – but this still means female workers are still paid an average of £3k a year less than men. On top of that the department is failing to meet the government target that a third of boardroom positions should be held by women. In fact only 26 per cent of the department’s 19 positions at board level are currently held by females. Just wondering how this happens? When I see a job advertised it usually has a salary or hourly rate listed. Does this mean therefore that once the position is filled, by a man, that a deal is then struck to give him a bit more on the QT than the woman would have got? It’s wrong but just not sure how it comes to be this way in such roles. In high up corporate jobs I can see how it happens but not in these lower paid roles. Kerry, in the public sector where pay grades are mostly fixed, that’s not really what happens. Women are four times more likely to work part-time, and on average leave earlier and so average less seniority. The reality is no government department can actually be pay gap-free just by being ‘good’. The pay gap is caused by a mountain of societal expectations that start at birth. It’s not ‘okay’, but it’s also /mostly/ not caused by bosses directly discriminating. Not in the public sector, anyway. High-up corporate jobs, yeah, that’s a different story.